Well, Christmas Season is officially here! There are so many great activities for families at Christmas time. At Utah's Adventure Family, we have special tabs just for Christmas and Christmas light displays. We've also put together this list of quick links with a short description of each activity. Echoes of Christmas: Liberty Park in Salt Lake City hosts a free Christmas program called Echoes of Christmas. Walk the family through and witness the story of the Nativity through song. This is one of our favorite Christmas traditions. Alpine Living Nativity: Visit old Jerusalem and the first Nativity. Complete with live animals, live actors, and activities for children, Alpine Living Nativity is a must-do. Tickets are required this year, so don't wait! 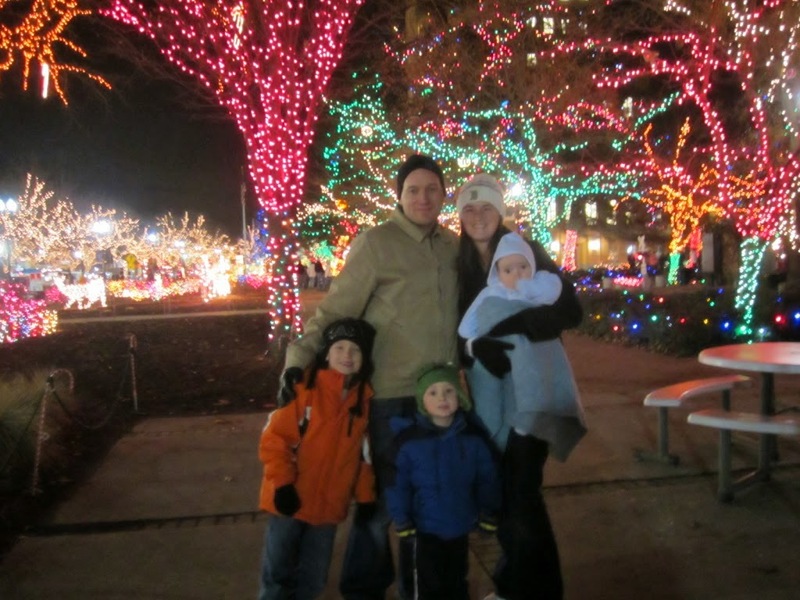 The Riverwoods: The Riverwoods in Provo has a ton of lights in a concentrated area. There are different activities including visits from Santa. This event goes through Christmas. Ogden Christmas Village: Ogden turns an entire block downtown in a Christmas Village. Live singing, a small train ride, and tons of tiny shops to check out make the Christmas Village a great place to spend an evening with the family. Bible Street: An entire neighborhood tells the story of the Nativity through Christmas lights and Bible verses. Just drive through and check out the displays. Heritage Park Christmas: Heritage park turns the village into a Pioneer Christmas experience. There are carolers, a visit from an old fashioned Saint Nick, and many shops homes to explore. For more information on hikes, museums, camping, and all other adventures in Utah, come on over to Utah's Adventure Family and follow us on Twitter, Instagram, Facebook or Pinterest.